I found some cheap lemons the other day and snapped them up, actually I got two bags because they were such a bargain but then when I got home I was wondering what I was going to do with them all. We have been drinking fresh lemonade, which is lovely in this weather and then I remembered lemon curd. I love lemon curd but it is hard to get hold of here and when I do see it rarely buy it because it is so expensive. I dug out my farmhouse cookbook and had a look at the recipe. It was really easy, took longer than I expected to cook but the method was simple, although not particularly healthy, it contains a shed load of sugar and butter but no artificial colour, yes it really turned out that bright yellow. 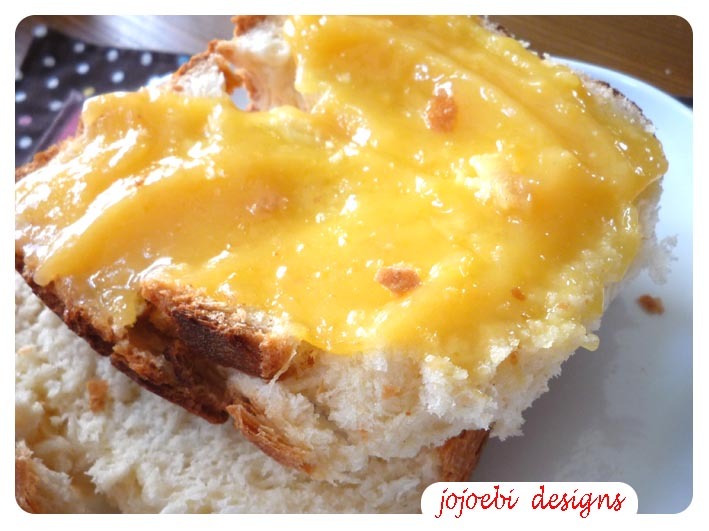 But really, is there anything better in the morning that warm, fresh bread slathered in lemon curd and a big cup of coffee? 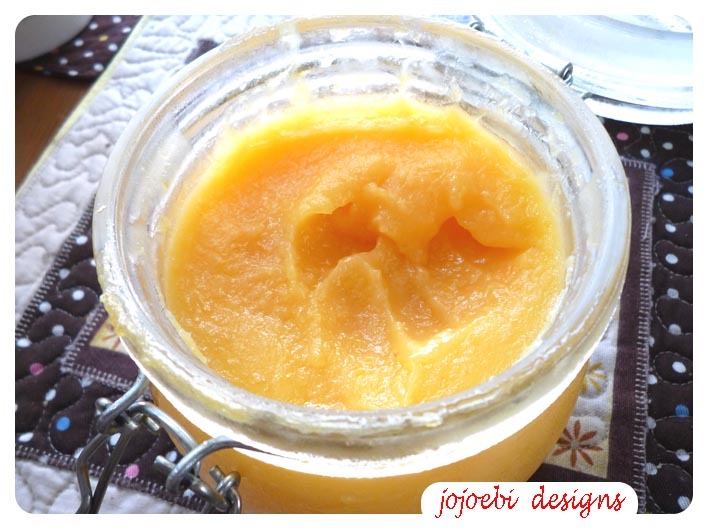 I love homemade lemon curd, and it's so incredibly easy, but somehow I never get round to making it. You've inspired me to make some more this weekend - thanks! YUM! I love lemon curd. Great on scones...mmmmmm!